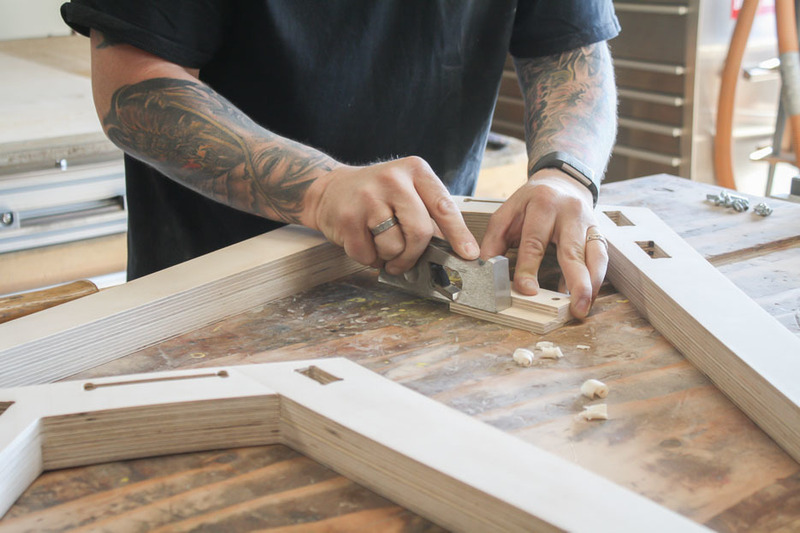 We meet Kyle from San Diego and learn how he turned his hobby into a business by registering as an Opendesk maker. 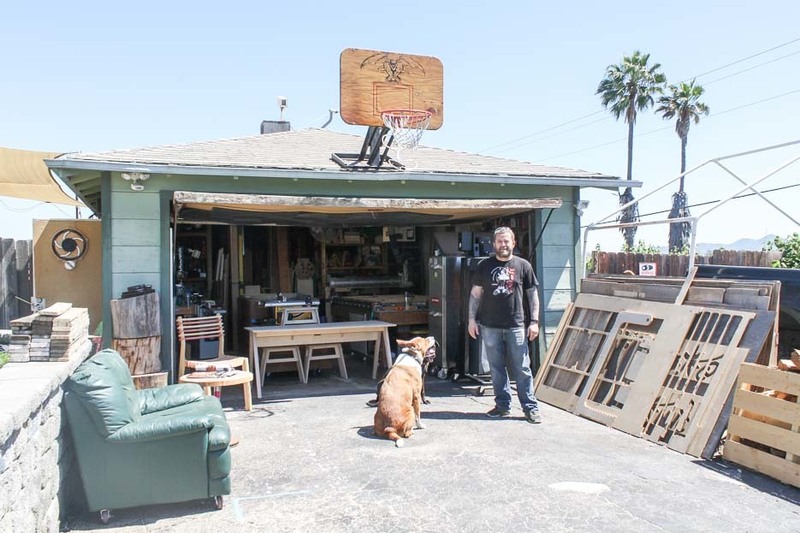 In his self-built workshop, Kyle has been making beautiful furniture for customers in Los Angeles and San Diego. 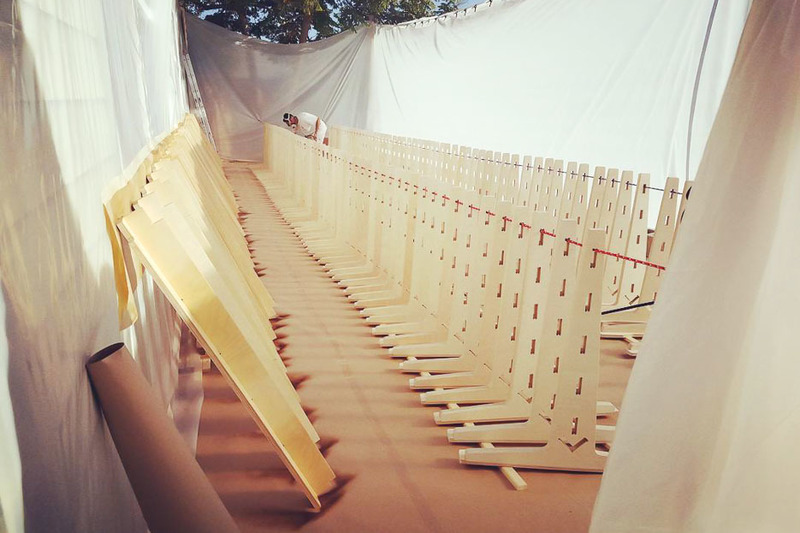 His biggest Opendesk job to date saw him tackle 99 8’x4’ sheets of Baltic Birch plywood from his garage for Procore. 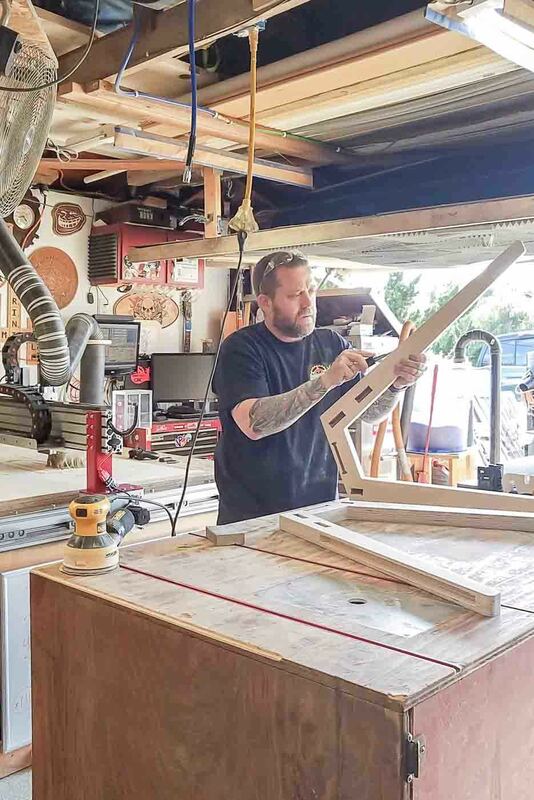 Kyle’s story proves just how much you can do with garage space, a self-built CNC machine and an Opendesk maker registration. 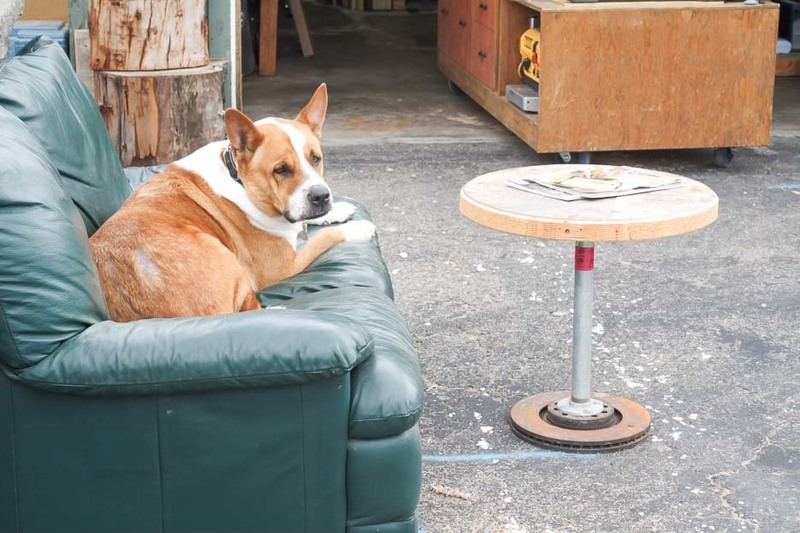 Opendesk: Where did it all start? Kyle: I used to work for a company called Motionmaster who built large CNC machines for everyone from small businesses to Fortune 500 companies. I worked there for several years but eventually decided to go back to school (after breaking my back in a motorcycle accident) and pursue a career in IT. My CNC experience and new IT skills helped me get a job with Caterpillar Inc. where I’ve worked for the last 16 years. I’ve enjoyed working in the IT field, but always had a desire to eventually get back to working with CNC machines. In January 2015, I finally pulled the trigger and began building my own CNC machine. It took several months of research to gather all the parts required for the project. 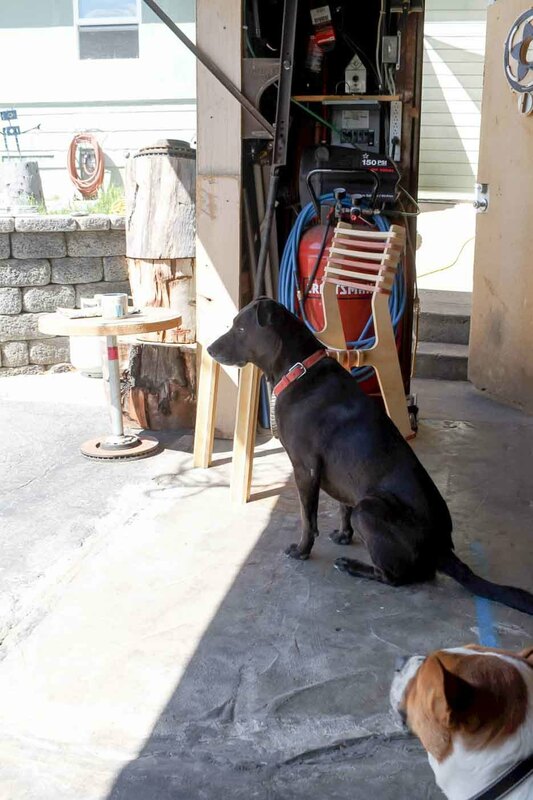 Once all the parts were sourced, I spent time turning my garage into a workshop with space for my new machine. It wasn’t an easy process as my 64.5 Mustang had called the garage home for many years! My initial plan was to run the workshop purely as a hobby. With odd jobs here and there, I hoped to pay off the cost of the machine in around two years. I did small projects for friends and ended up doing a few larger 4’x8’ signs for a few local wineries. Within eight months I had the machine paid off! I realised there was more to this and perhaps my hobby could be a business! I went ahead with the process of setting up an official business name and license - the birth of Sandy Eggo CNC. Opendesk: Why did you join Opendesk? Tell us about the early months. 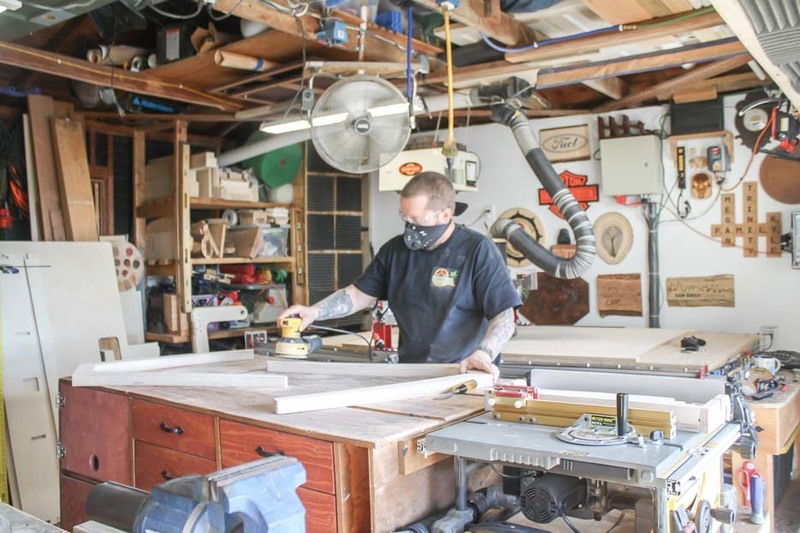 Kyle: I applied to become an Opendesk maker about 18 months as I looked to take Sandy Eggo CNC further. I soon began quoting customers in my neighborhood for furniture including the Lean Desk and Studio Desk. Shortly after signing up I made some Divide and Pedestal examples for Kingdom Industries just outside Los Angeles. This resulted in a huge job for Procore, also in LA, who ordered 66 Whiteboard Divides, all of which were made in my garage! Tell us more about the Procore job! 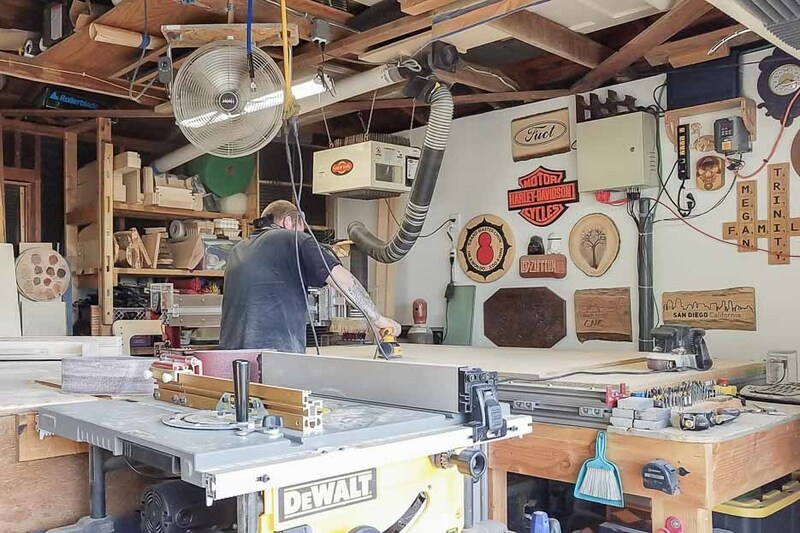 The job for Procore was definitely my finest hour and really proved just how much you can do with garage space, a self-built CNC machine and an Opendesk maker registration. 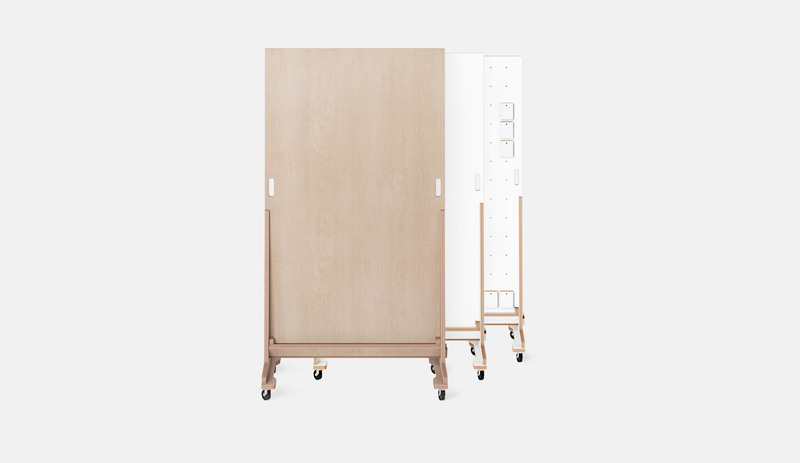 Each Whiteboard Divide is made from 1.5 sheets of 8’ x 4’ material. That’s 99 sheets in total! 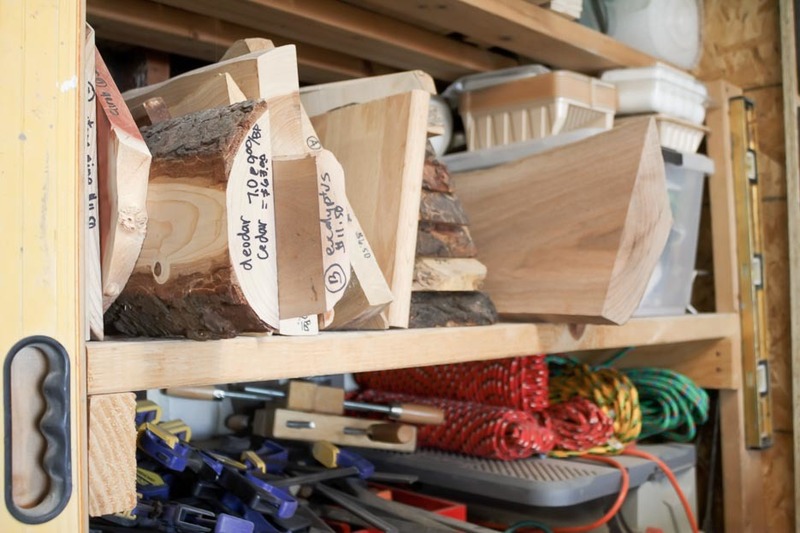 Cutting them was the easy part- each component had to be sanded, assembled and oiled by hand. I had a production line set up in my yard to manage it all! Opendesk: What does Opendesk bring to professionals like you? Kyle: I never thought I’d be a serious woodworker. Metal was always my preferred material. Opendesk has opened up a whole new world for me. I built my CNC machine purely for pleasure. I had no idea I’d be making good money with it! Small projects allowed me to pay off my machine within months. Large projects from Opendesk have allowed me to buy more tools, improve my processes and have even led me to consider expanding! 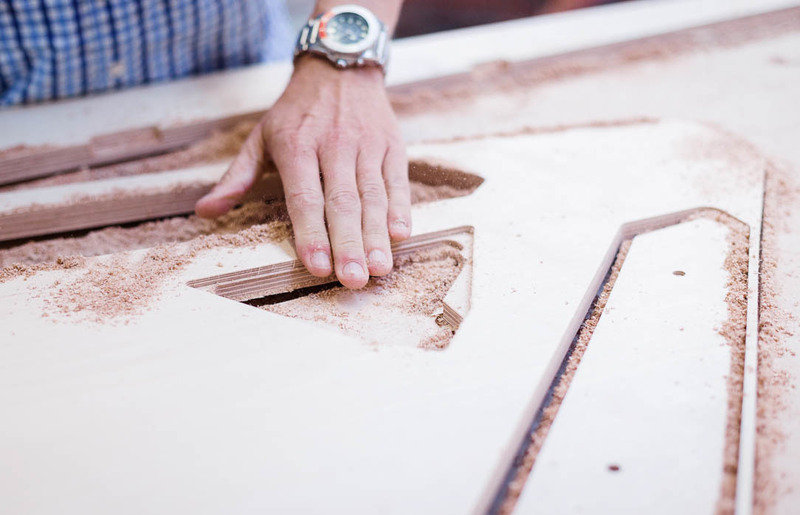 What excites you most about being part of the Opendesk maker community? The way I see it, the more successful Opendesk becomes, the more successful I will become. I love money just as much as the next dude but I work for more than that. I want to help Opendesk by doing my bit here in San Diego. I see Opendesk really taking off and it’s cool to see it happen from my side of the world. Someday I plan on retiring early. I don’t fancy doing my full-time job in IT until I’m 65+. I’m 43 years old and would love to be a full-time craftsman sometime in the next 10 years. I know working with companies like Opendesk will help me get there. Without Opendesk I would not even have an early retirement on my mind. Opendesk could be a huge life changer for me, my family and many others. Opendesk: What sets you apart from the rest? Kyle: I really care about durability and longevity. No one wants to buy a piece of furniture that breaks only months after buying it. 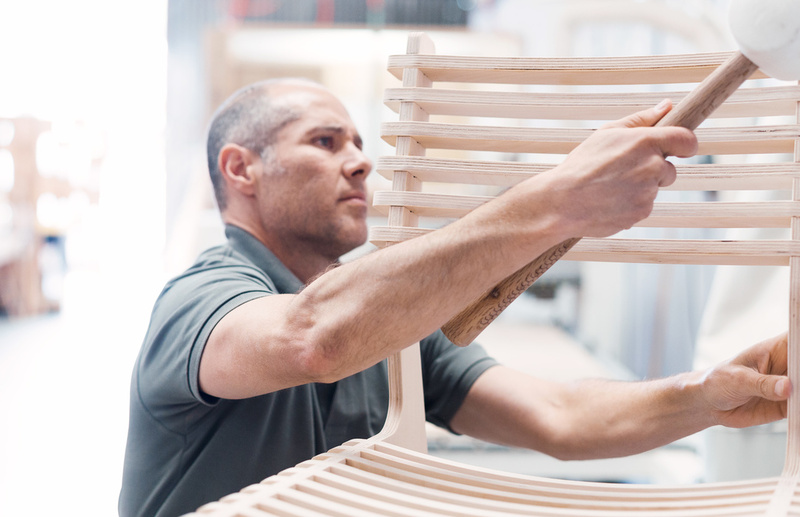 To me, that is what defines a successful furniture maker; will the piece be strong enough to last a lifetime? Opendesk designs are well considered and structurally sound, which helps me deliver the level of quality I want to see leaving my workshop. I’m starting to learn Autodesk’s Fusion 360 as it’s free for small businesses like mine. It’s simple to use and can handle everything from sketching and 3D modeling to CAM. It’s a big time saver and gives me access to tools that would otherwise be out of my budget. 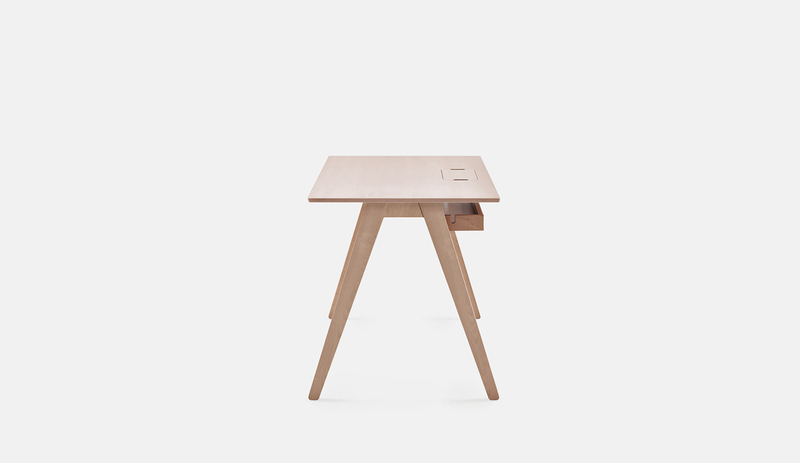 What is your favourite piece of Opendesk furniture to make? 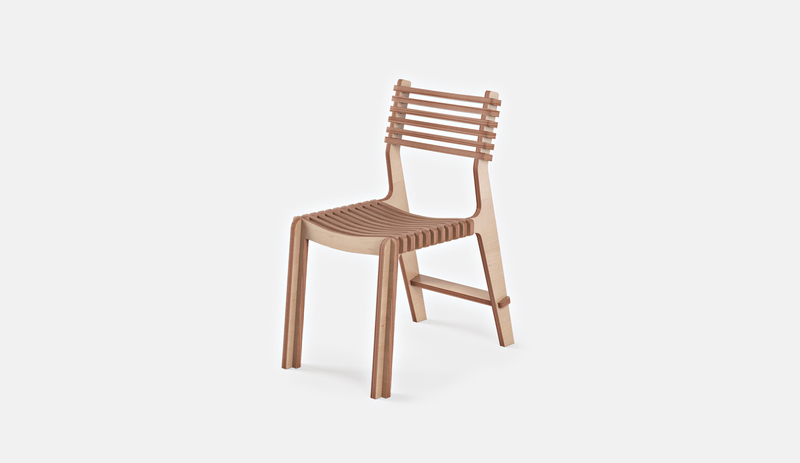 The Valovi chair is a lot of fun to make! It’s very simple and its interlocking parts are really satisfying to knock together with a mallet. I’m in the process of sorting out leftover materials from the last huge Opendesk job I did for Procore. Right now I have stacks of Baltic Birch ply in three different rooms in my house. I simply do not have room for them in my shop. My spare room has become a wood shop! Other than that, I’ve been getting back to my Etsy shop, making surfboards, skateboards and roller derby racks. I also have a couple guitar designs I’m working on. Whether hobby or paid work, my workshop is always busy! Opendesk: How big is your team? Kyle: For now, Sandy Eggo CNC is just me. If I need extra help on a particular project, my family or friends can usually help me out. When I have the right work, I bring in kids from a local high school’s wood shop who want to get stuck in a learn new making skills! What machines are you working with? 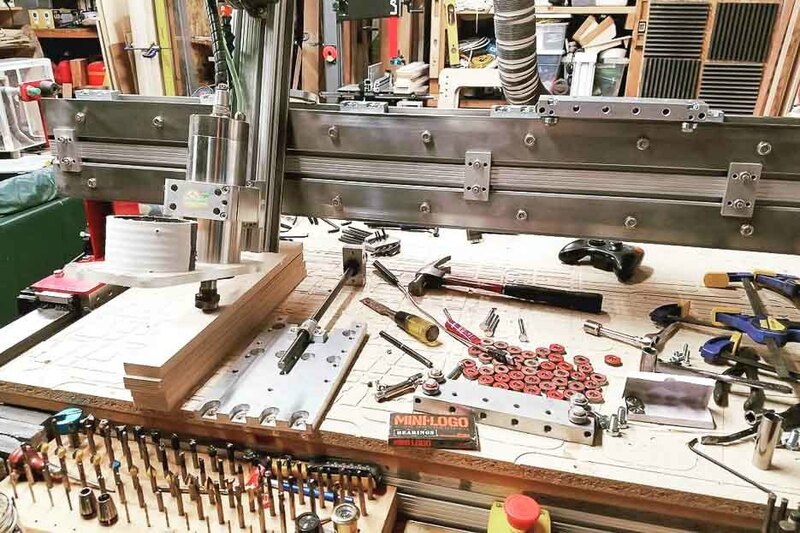 My CNC machine is the centerpiece of my workshop and I’m proud to have built it. I also have a new Laguna 14-12 bandsaw, several work areas for hand tooling in addition to my table saw and planer. I plan to soon start incorporating more metal work into my woodworking as I also have my own welding set. Beyond the normal shop tools, I’ve got a self-build 3D printer and have a laser machine arriving soon. I’ve probably got the coolest garage in San Diego! 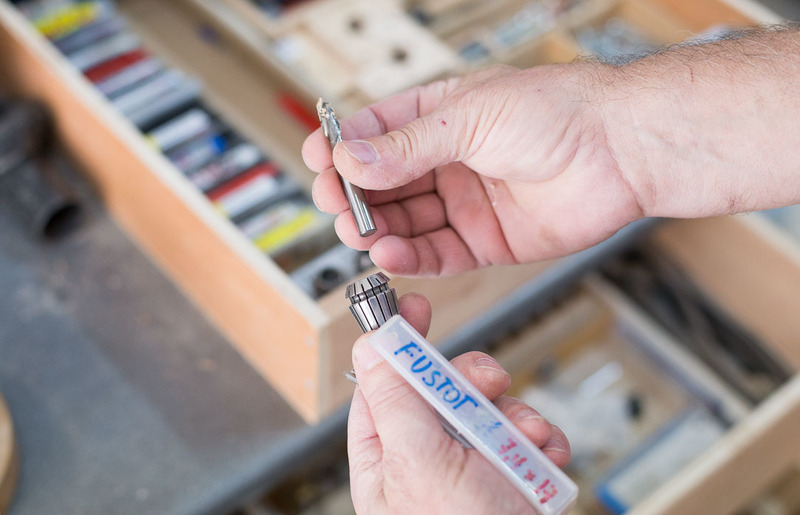 7 essential router bits used to make Opendesk furniture on CNC milling machines.